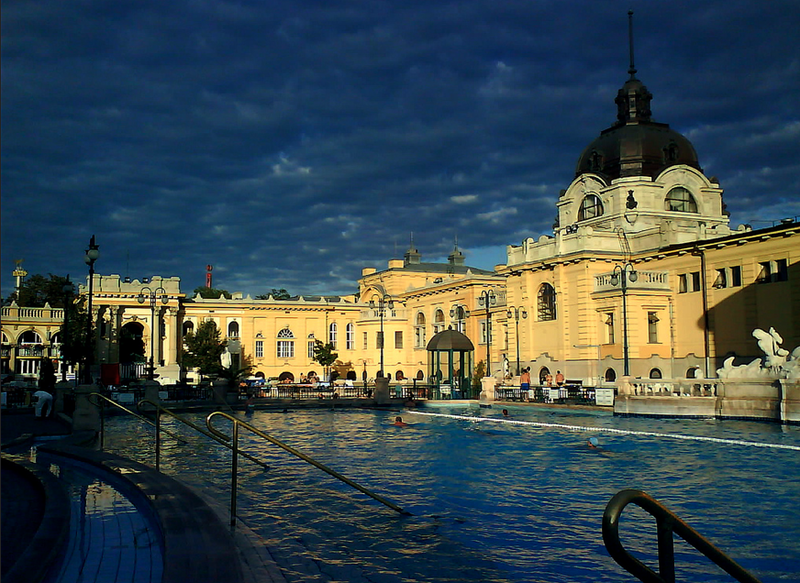 We understand if you want to visit the popular Szechenyi Baths and Pool off peak hours, or when tourists are less frequent in the baths. Obviously, early morning hours are less crowded, the pools are almost exclusively used by local regulars who wish to do their swimming laps in the outdoor sports pool between 6am and 8am, or who wish to use the spa facilities when they are not packed. 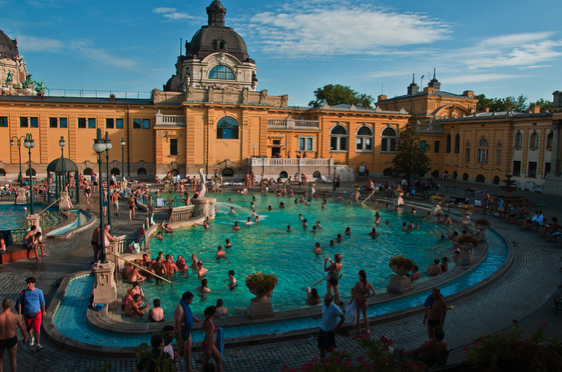 Later on the day, especially mid and late afternoon, the baths and pools fill up with locals and tourists – especially in the summer months (from June to September). Weekends are, similarly to peak hours, more popular, so to have some more personal space in the thermal spa baths, you may wish to schedule your bath visit for a weekday (any week day open, Monday, Tuesday, Wednesday, Thursday, Friday). All days are mixed, so you don’t need to plan ahead for coed visits. We will be two people visiting the spa (full day). We both want deep 60 minute massages. I’m a bit confused when filling out the online form. And then I am asked how many packages I want. I’m not sure if the package is entrance for both of us or not, so I’m not sure whether to pick 1 or 2. I want to visit the baths on a weekday (october 8th) from 6am to 8am. How do i purchase two tickets with locker? thank you. morning tickets can only be purchased at the cashier of the Baths. Thank you for your understanding. on the 28 Dec 2018, it says that cabins will most likely not be available. What does that mean? How can I try to ensure I get a cabin on that day? Szechenyi Baths is usually very busy during the Christmas period. If you book a ticket with cabin, but there are no available cabins when you arrive, you can either choose to wait a bit until a cabin becomes available, or have a ticket with locker instead. In the latter case, please let the spa staff know about the change, so that you will be able to request a refund of the price difference afterwards. Hello, me and my friend will be visiting the baths in April and wanted to booked our tickets beforehand, but we are planning to visit after 7 p.m. Am I correct that via the booking form I can only book full day entrance and I can not pick just the discounted time? We have to buy our tickets on the spot when we arrive? yes, if you wish to arrive later than 6pm, you will need to buy the ticket on the spot. Thank you for your understanding.